Wheeling, Illinois 60090 is located in Cook County. There are over 28,000 residents living in Wheeling. Unlike our competitors, we use only specially-formulated cleaning agents that are free of solvents, butyl, surfactant, soaps, and chlorides to eliminate re-soiling. Stain Away’s patented system uses hot water extraction that allows for safe removal of even the most deep-seated and long ignored soil. Between our exclusive cleaning solutions and our true steam carpet cleaning procedures, we are capable of loosening and lifting the ground-in dirt and soil without leaving any soapy residue behind for our Wheeling clients. Better yet, our process will remove all the unseen allergens and microscopic pollutants that can trigger an asthma episode or cause other breathing problems. If you have a family member who suffers from allergies, you know they will appreciate our ability to remove any pet hair, dust and mites your vacuum may have missed. At Stain Away we understand that the carpet cleaning process needs to be tailored to each particular residence or business office. That is why we begin our carpet cleaning process with pre-inspection of the areas you want cleaned. You will have a chance to point out any soiled traffic areas you want our team to pay attention to. Also, our professional carpet cleaning technicians will carefully explain all aspects of the carpet cleaning procedure we have completed. You will also be able to ask us any questions you may have about the process. Further, after we have cleaned your carpeting; we will conduct a walk-through for a final inspection with you to ensure you are 100% satisfied! 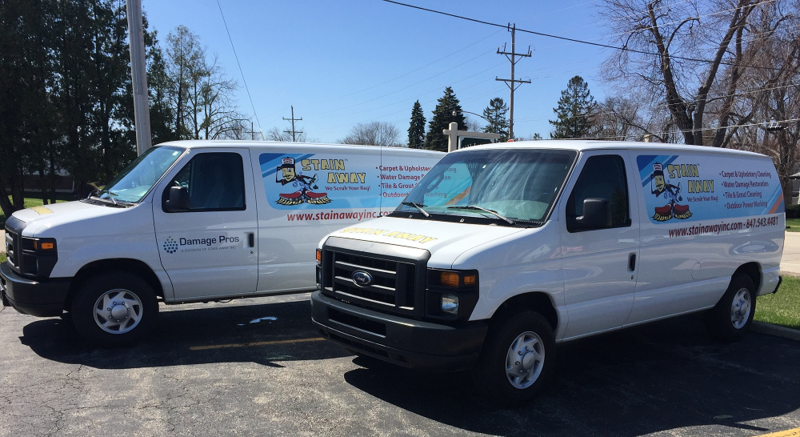 give Stain Away a call at: (847) 543-4481, today, for your Free Estimate!